On 3 May 2018, ENRD organised its 2nd Social Inclusion Workshop focusing on the attractiveness of rural areas for young people. The workshop aimed at discussing how to improve the attractiveness of rural areas for young people through exchanges on innovative and inspiring practices, including on youth entrepreneurship, rural-urban linkages, communication and digitisation. In addition, the event focused on appropriate policy tools and explored ways of creating employment opportunities and services for rural youth. The workshop started with the presentation of the current situation in Europe for young rural people. While the overall EU population increased slightly, the rural population has continued to decrease over the years, including for the 15-35 years old. Many young people living in European rural areas tend to leave their small town or village to go study and work in suburbs, cities but also abroad. However, young rural strongly believe and recognize the strengths of their rural areas, as explained Pia Winsten, from Rural Youth Europe. 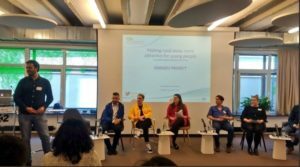 To illustrate the youth desire to revitalize rural areas, seven young people from rural Europe, aged between 18 and 28, presented their inspiring stories, associations or projects in which they are involved. Their goal was to show that young people can be rural areas attractiveness’ initiators, by attracting young talents to rural areas or by leading projects in their rural areas. One of the initiatives presented was “Baba Residence: urban youth in rural areas”, a project that brings together young people from cities with elderly villagers who live in remote mountain villages in Bulgaria. The participants of Baba Residence have the opportunity to exchange and share their ideas for the development and attractiveness of the remote areas they go to live in for one month. Baba Residence is also an example of social innovation, presented in the database of the project SIMRA (Social Innovation in Marginalised Rural Areas). This example and other examples on how social innovation can deliver rural services can be found in this SIMRA brochure on rural services. In the afternoon, during the various workshops session, participants could discuss and exchange with each other in order to identify success factors of youth initiatives and their transferability to other areas. Among the factors of transferability were mentioned the social media, the networking, the EU fund and the consideration of local people’s opinion. In addition, the event discussed specific policy tools and practices with the aim of developing recommendations for future policies. Peter Toth, from ENRD Contact Point, explained that young people in rural areas can benefit from different EU measures, including: the young farmers payment under the first pillar of the CAP or the young farmers measures and the support to new business start-up under the second pillar of the CAP, the “Youth Employment Initiative”, the new European Solidarity Corps, Eurodyssee (Ersmus+). 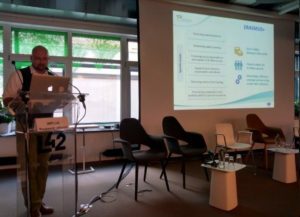 Other funding schemes like the European Social Fund, Erasmus+ and Interreg programmes can also support young people in rural areas, even if they are not the first target groups (more details can be found in his presentation here).